Concerned about your power bill? One way to reduce costs is to generate power by yourself. It may not meet all of your energy needs but it can help ease the burden of high bills. So what are the different ways to generate power at home? When it comes to your property, there are a number of methods that you can use. Note that there are many factors to consider when identifying the best solution for your property (e.g. weather patterns) so be sure to take these into account. We take a look at five common and alternative renewable energy methods that you can implement for your home. Solar electricity systems are one of the most popular options that people use for generating their own power. Solar power uses sunlight to generate energy for your property. This solution works best in areas where there are high levels of direct sunlight. Certain parts of New Zealand have the ideal amount of sunlight exposure to get the most out of solar electricity. Many properties in New Zealand utilise solar power to reduce the overall cost of their electricity bills and there are many providers out there. Solar water heating systems use the heat from the sun to warm up a property’s water supply. 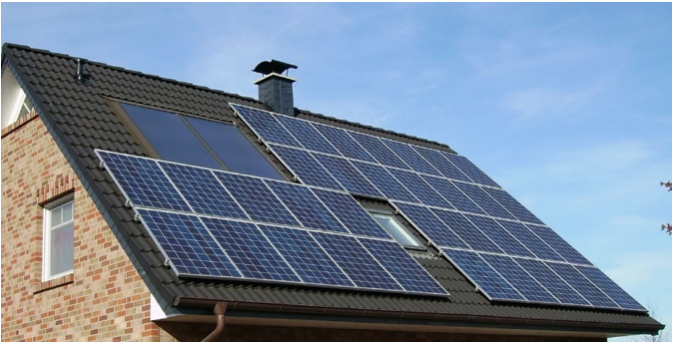 If you utilise large solar panels, you can arrange it so that you can generate additional heating to your property. This solution helps to reduce the overall costs associated with heating your water. The main benefit of solar water heating involves allowing you to have hot water throughout the year. Solar air conditioning uses the same principals of solar water heating. The difference is that the hot water that is generated is used in an air conditioning system. Air conditioning is one of the highest expenses for many homes and businesses. Solar air conditioning works best by reducing your overall electricity cost. Small wind turbines can be installed onto some properties depending on the location and space available. Small wind turbines are a great option for people that wish to generate their own power. Lots of areas in New Zealand have the perfect conditions to install and use small wind turbines. Before you install any wind turbines, it is best to get advice from an expert so that they can assess the conditions of your property. Many homes, businesses and farms can benefit from installing wind turbines. Micro-hydro systems use the kinetic energy from flowing water to generate electricity. This solution only works if you have access to the right stream or waterway. Fortunately, there are many small hydro schemes across New Zealand. Micro-hydro is a very reliable and economic method for generating electricity if you meet the right conditions. Similar to other methods, if you generate more electricity than you need, you can sell the excess to an electricity retailer. There are a number of renewable methods for generating power for your home. From a financial perspective, some properties are better suited for wind turbines and others are better suited for other methods such as solar power. One thing you may have noticed is that most of these renewable solutions are not necessarily a complete replacement for your traditional electricity company. What they do offer is a way of reducing your overall power bill. Another tip for saving and reducing your electricity bill is to compare power providers in order to get a better understanding of what plans are available to you.